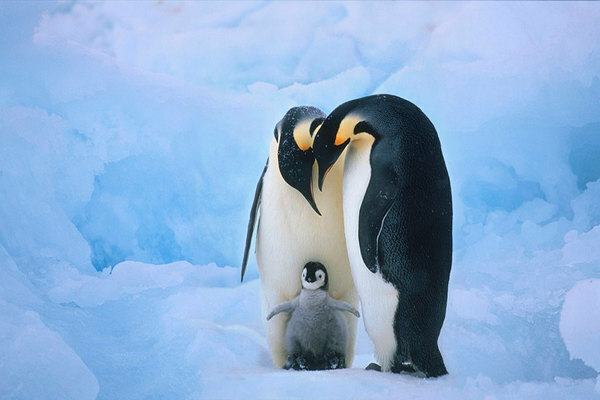 As my colleague Anna Chen likes to say, if you want to get people’s attention about climate change, show them a photo of cute penguins. Click above to read a story from Time about global warming’s potential threat to penguins. We have a couple key items today about oil and climate change. I’m not very comfortable vilifying Big Oil, mostly because many of us — including yours truly — have gasoline-powered cars and purchase gas from Big Oil. So there is an element of personal responsibility here. Of course, many people will continue to drive for all sorts of reasons, many of them very good ones. One of the things that I like most about working for Metro is that the L.A. area’s achilles heel in recent decades is that there hasn’t been a great alternative to driving. Like many others, I’m excited to see a transit network be put in place so area residents don’t feel they always have to drive everywhere. As I’ve written many times before, generally speaking taking transit instead of driving alone is a way to reduce your carbon emissions. Global warming and climate change remain very complex subjects and predicting the future is never easy. But I think the possible impacts of global warming are serious enough and dangerous enough that, at the least, they merit action. Below are some suggestions to help everyone reduce their own carbon footprint — in addition to taking transit sometimes, walking and biking remain zero emission alternatives! Click here to visit the U.S. Environmental Protection Agency’s carbon footprint calculator — that’s a screen grab below. Maintenance – Keep your car tuned up and running efficiently. More Maintenance – Replace your air, oil and fuel filters according to schedule. Tires – Keep your tires properly inflated (just this can save 400-700 pounds of CO2 per year). Make your next vehicle a fuel-efficient one – Check out EPA’s Green Vehicle Guide for info on miles per gallon as well as EPA SmartWay® certified vehicles, meeting rigorous air pollution and greenhouse gas emissions standards. Household fuel efficiency – If your household has two cars and one is used mostly for commuting, make the commuting car a real gas sipper if you can’t for both. Combine your trip with another. Carpool – Just once a week saves 20%. Check out your transit options – It may not work for you every time, but use it when it does. What about your bike? – Get in shape, too! Only a mile? – Walk. Think it through – Do you need to take this trip at all? Get it on the Internet. Optimize – Save this trip for later and combine with another. Telecommute – Work from home occasionally. A media event was held Thursday to celebrate the 10th anniversary of the busway in the San Fernando Valley. The Daily News reports that several officials used the event to promote a potential ballot measure in 2016 that could raise the countywide sales tax by a half cent while extending the Measure R half-cent sales tax from 2039 until 2057. With the Orange Line full, the 405 and 101 freeways clogged and Valley buses failing to serve most residents, they rallied for a 1-cent transit sales tax — with a “fair share” of billions for rail lines and transit upgrades for the Valley. And what about the Orange Line? Some San Fernando Valley officials are calling for a conversion to rail, which early estimates say would cost $1.2 billion to $1.5 billion. Metro is also looking at possibly running longer buses and working with the city of Los Angeles to better time traffic signals — the trip between NoHo and Warner Center often takes 45 minutes because the bus often has to stop for red lights. Here’s the latest Metro staff report on the agency’s long-range plan update and the potential ballot measure. If you look at appendix D, you’ll see that on the draft wish list for transportation projects, the San Fernando Valley Council of Governments has asked for funds for Orange Line improvements and for an Orange Line conversion. Those lists will be refined in the coming weeks and Metro is expected to release an expenditure plan for the ballot measure in March with the agency’s Board of Directions deciding in late spring or early summer whether to put the ballot measure before voters. 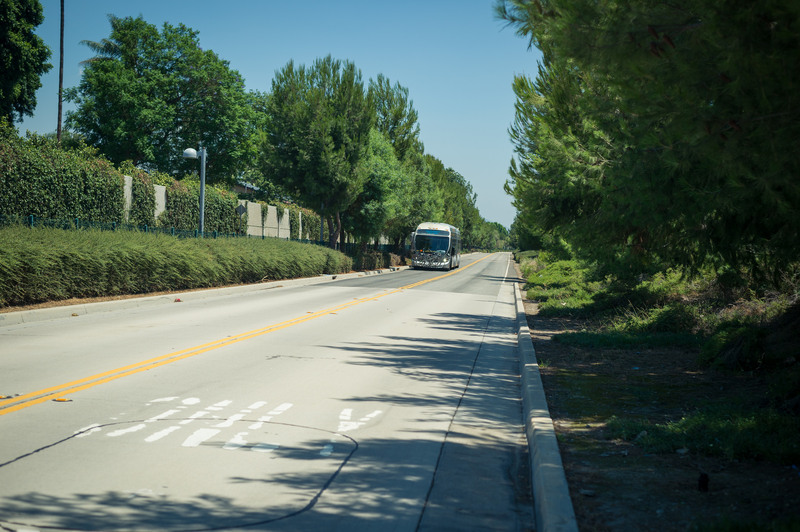 There are other projects competing with the Orange Line for funding, including a light rail line along Van Nuys Boulevard and a project to possibly build a rail line under the Sepulveda Pass to connect the Valley and Westside. Stay tuned and please follow the process. Some big decisions will need to be made. 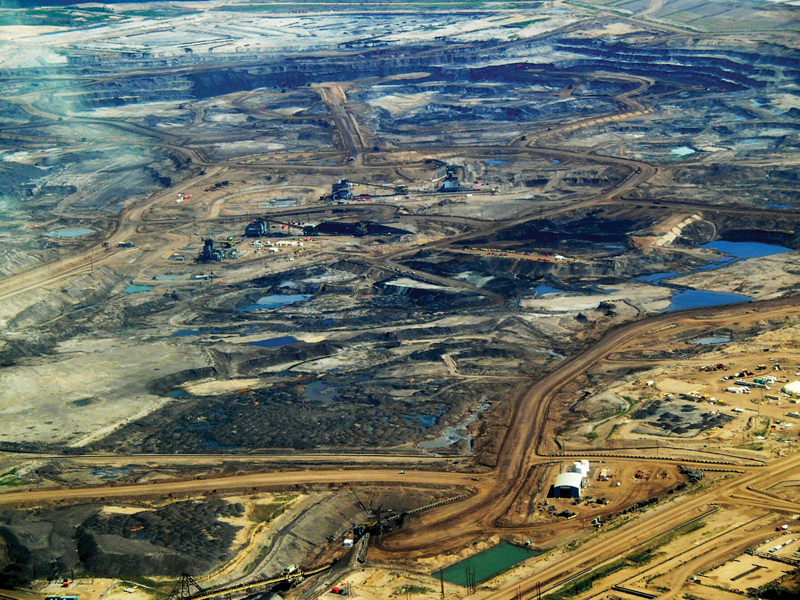 A 2008 photo of a tar sands oil field in Alberta. Photo: Wikimedia. Yet, many conservation groups are very pleased with the news. The Natural Resources Defense Council, for example, says that approving the pipeline would have undercut the U.S.’s leadership on battling climate change and that it would promote a particularly dirty form of oil and oil extraction. 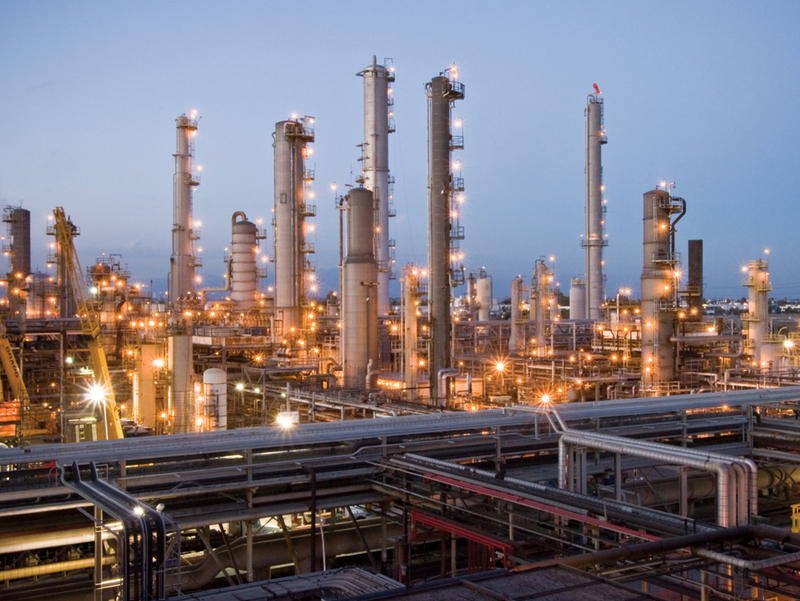 The Exxon Mobil refinery in Torrance. Credit: Exxon Mobil website. Click above an explanation of the refinery. The probe is apparently centering on whether Exxon Mobil lied to investors about the dangers that climate change poses to its business model. As we posted yesterday, a recent series of stories in Inside Climate News and the LAT that alleged that Exxon Mobil tried to undermine research on global warming even as its own scientists were documenting its existence. Aside from providing more help to public-private partnerships, they make little or no effort to promote congestion pricing, driverless vehicles or other innovative solutions to the gridlock that plagues the largest American cities. And by holding transportation funding essentially flat, the proposals ignore the huge and growing backlog of maintenance work needed on roads, highways and bridges. The House and Senate versions of the bill still must be reconciled and signed by President Obama to become law. Here’s Metro’s response to the House bill — a response that, like the LAT, notes that the bill is not fully funded and transit would get more money in the Senate version of the bill. As for raising the federal gas tax, my calendar tells me that there’s a big election about 362 days from now in which every House seat, one-third of the Senate seats and the big chair in the Oval Office are up for grabs. In other words, a tax increase enjoyed the same chance as the Detroit Lions do of winning this season’s Super Bowl. The problem with these knee-jerk “let’s stop using oil” arguments is that they are full of hypocrisy by those who say them. While Obama says he’s doing something against climate change and killing off the Keystone Pipeline, he’s travelling on an fuel inefficient and ancient by today’s standards Boeing 747-200B, uses a Sikorsky Sea King to shuttle himself the 15 miles between The White House Lawn and Andrews AFB, and has an entourage of Secret Service SUV vehicles everywhere he goes. And of course, when he signs legislation that cars be upped to 54.5 MPG by 2025, he himself is riding on a Cadillac limo that gets 8 MPG. The vast majority of politicians who say they are for the environment do not seem to be giving up their own cars as well. The Metro Board members have their own dedicated parking spaces at Metro HQ and Sacramento politicians get their own special license plates with full immunity from all traffic laws and violations. And of course when one says they are against Big Oil, but without big oil, the police cars, ambulances, fire trucks will not run. That includes all the other service vehicles out there from electric utility vehicles to helicopters that dump water during forest fire season. Metro themselves are reliant on oil companies as without gasoline, their own service vehicles, security patrols, and their mobile command center will not run. Metro projects will not be completed as you need gasoline or diesel to run all those construction equipment. Amtrak and Metrolink will not run as they all run on diesel engines. And of course, the most biggest irony of them all is that you have those eco liberals who are so addicted to their iPhones and shopping at Whole Foods, yet disregard that in order to get their iPhones, it had to be shipped to the US from China aboard a merchant vessel and their food products that they buy at Whole Foods were farmed using diesel engine farming equipment and all transported by a diesel truck. Big oil deserves to be called out for lying about global warming. Yes, we are all complicit in using oil directly or indirectly. However, not everyone is complicit in lying about global warming and actively trying to thwart action to address the problem. Journalists are too timid in calling out blatant corruption sometimes for fear of seeming “biased” or “political.” A sad state of affairs. I thought that there were more oil spills from pipelines than from trains? Don’t criticize President Obama because he travels in special police or military vehicles. He travels in a heavy armored car because several of his presidential predecessors have been killed or injured by stalkers. And thousands of his government co-workers, both civilian and military have been killed or maimed by terrorists. He has a responsibility to help ordinary Americans conserve fuel, and he also has a responsibility to ensure his own personal safety. The next time that you observe Obama’s aircraft gulping a lot of fuel at John F. Kennedy International Airport, try to remember that the name of that airport was originally “New York International Airport”. That airport was renamed to honor one of President Obama’s predecessors, President Kennedy, a few months after President Kennedy was murdered while traveling in a car. And one critical comment mentions Andrews Air Force Base (which has been renamed “Joint Base Andrews”). The first time I heard of that facility was the day that President Kennedy’s body was flown back to Washington from the scene of his murder in Dallas. Let’s not forget that every time Obama or any other former president travels via Airforce One, a 747-220B, a duplicate jets plus other needed aircraft carrying such equipment like the Presidential Limo must travel with him. And currently many of those trips are for raising money for the party. They say the party reimburses the government for the trips but that doesn’t make sense since the cost of the trips is in the millions. This isn’t North Korea or Nazi Germany where the people aren’t allowed to criticize government and officials at the risk of being sent to extermination camps. The fact is that it is hypocritical that the same federal government officials who call for conserving fuel isn’t doing anything themselves, much as how our local officials who call for conserving water in this drought isn’t doing much to lower their own water use by washing their cars 2-3 times a week (http://www.dailynews.com/government-and-politics/20150825/what-drought-some-la-county-supervisors-have-their-cars-washed-2-3-times-a-week). Suffice to say, actions speak louder than words and it is up to government officials and leaders to set themselves as examples if they want to make the people believe their words. 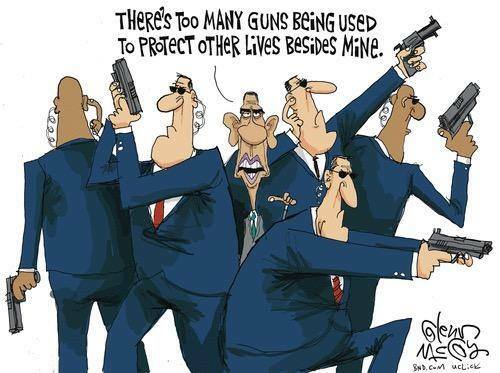 And the hypocrisy continues which is illustrated by this political cartoon, where Obama presses for more extreme gun control measures and calls them dangerous to the public, yet he himself is protected by the Secret Service who are armed with firearms wherever he goes. I take it that in your view, that’s okay because he’s the President. Or Donald Trump because he’s ultra-rich and has the money to afford a concealed carry permit in NYC. But ordinary Americans can’t have them to protect themselves from the same thugs and stalkers. No, the executive branch’s job is not to legislate, that’s Congress’ job. The executive job’s primary function is to administer and enforce the law that Congress passes. It’s called separation of powers and our founding fathers intended that the executive branch should not have ultimate powers to decide what’s best for America and that function is left to our Representatives and Senators we elect to represent the people. It’s not the perfect, I know Congress can’t get along, but it’s what we have right now and nor do we want a centralized executive branch with expanded powers either like a dictator. The original name of JFK was Idlewild Airport and that was the common name for it even after it was changed to NY Int’l in 1948. You can Google the popular use of Idlewild Airport at the time if you read the historical news articles of “The Beatles arrive at Idlewild Airport” which took place in 1964 which was the year after JFK was assassinated. Furthermore, if Obama is visiting NYC, it’s really not that far from Washington DC and can be done using Amtrak’s excellent NE Corridor and the Acela Express services instead of using a jumbo jet that costs $180,000 an hour to taxpayers, plus the expenses of his motorcades and security detail that all needs to be airlifted beforehand. Obama chastises Congress for not passing bills that would’ve prevented the Philadelphia train crash and supports more funding for Amtrak, yet he hasn’t used Amtrak regularly for trips around the East Coast except for some political photo ops. 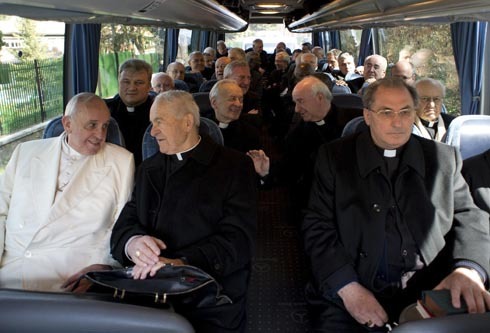 Compare that to Pope Francis who opts to travel around using a bus with his fellow cardinals than traveling around in his Pope mobile, despite the history of the failed assassination attempt of Pope John Paul II or the threat of ISIS wanting to wage a jihad against Western civilization and Christianity. 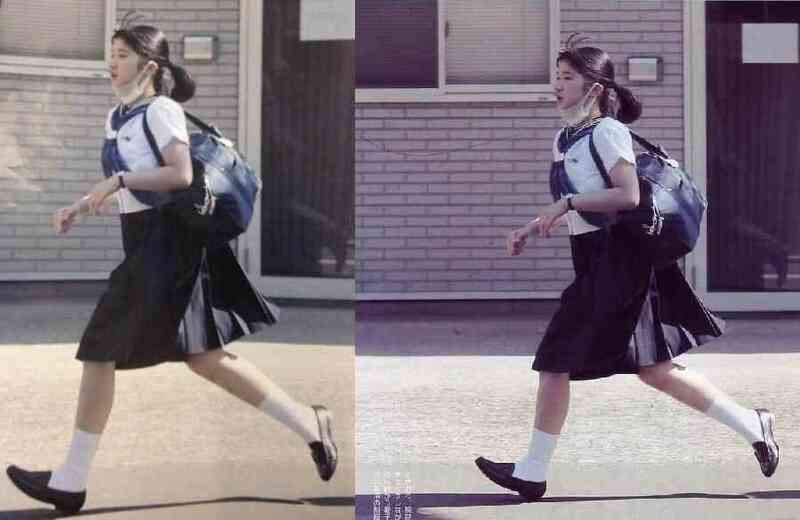 Compare that to Japan where even the Emperor rides and travels around the country using the train and the Princess walks to school like the rest of the people, despite Japan also has had a domestic terrorist attack on their subway system 20 years ago. You can then correlate why Europe and Japan has better mass transit when the Pope and the Emperor uses them to “lead by example” in sharp contrast to the US where even though the politicians say they want it, they themselves have put no trust into their services. Just looked at the carbonfund.org web site. Sure enough, like all of the Politically Correct eco-wackos they leave off the most important and critical way to reduce global warming – HAVE FEWER CHILDREN!! ‘Cause there’s no point trying to talk people into that. Women have the number of kids they want to, generally, now that birth control is widely accessible, and few things will change their minds.